If you are searching for quality affordable Hotels in Hammersmith and West London, then we might fit the bill! We take great care in ensuring that everyone’s stay with us is as comfortable as possible. Only when you are satisfied will we be happy! It is also very rewarding for us to see so many regular and contented customers keep returning to stay with us, time and again. 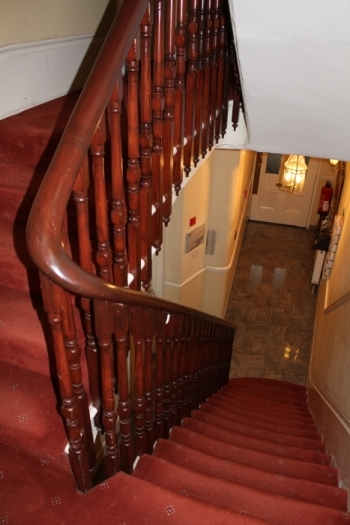 We are an established smaller Hotel and have been here in Brook Green Hammersmith, West London, since the mid 1980′s. There have been a lot of changes since those early days, all for the better we feel! All our rooms now have ensuite facilities. We also underwent a major refurbishment recently and that might make us a real find for all you bargain Hotel hunters out there! Using our expertise in Interior Design, we went for a complete make-over. You can get a feel for the Hotel’s interiors from our OUR ROOMS page. Our room rates are very reasonable and the Hotel is in a well connected part of West London, adjacent to Brook Green Common. We are very near the Olympia Conference Centre and Earls Court is also within a few miles. We are also well positioned for easy access to the M4 and A40 motorways. Have a look at our OUR LOCATION page for more detailed information. We would be happy to give you any other help or advice, just refer to the information on our BOOKING ENQUIRY page. We look forward to hearing from you soon! We are running some special offers over Spring, so drop us a line to secure a great deal!